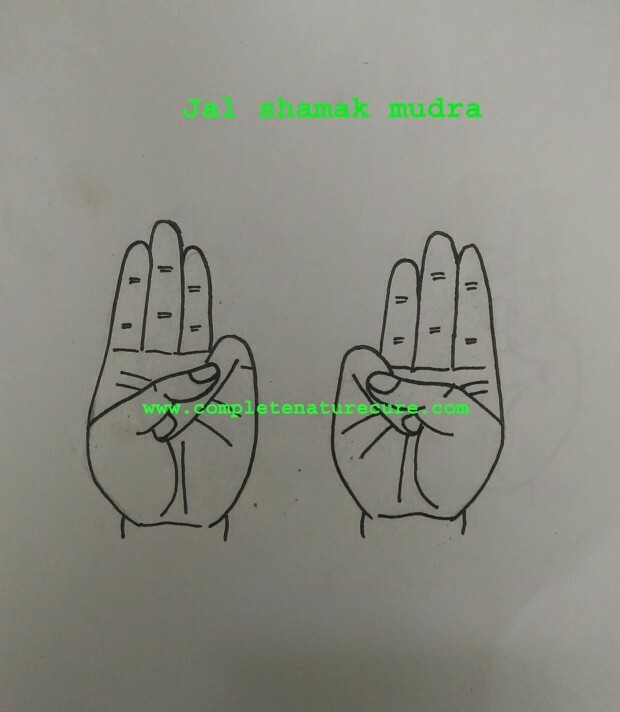 Jal-shamak mudra is useful to reduce water element within the body.Water is the major part of Kapha and Pitta Prakriti.Jal-shamak mudra is helpful to decrease Kapha dosha and pitta dosha. 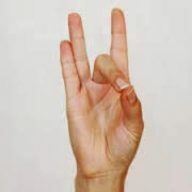 It is very easy to do this mudra, just placing the tip of the little finger on the base of thumb finger and applying little pressure is enough to form the Jal-shamak mudra. This mudra decreases Jal element within the body.Water is the main component of Kapha and Pitta, the practice of Jal-shamak mudra reduces the effects of these doshas. Jal-shamak mudra is useful to heal the following conditions. Cold and clammy body, hands or feet. All the diseases cause due to deficiency of Vata. 30 minutes of regular practice is enough to get the best results; you can do this mudrā any time or in any position. The practice of this mudrā in morning hours or meditation will give quick and best results. 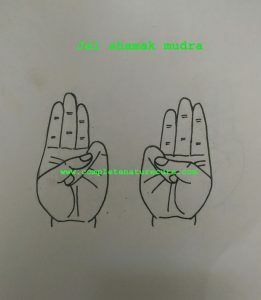 If you are a Kapha deficient person, then do this mudra in moderation only.